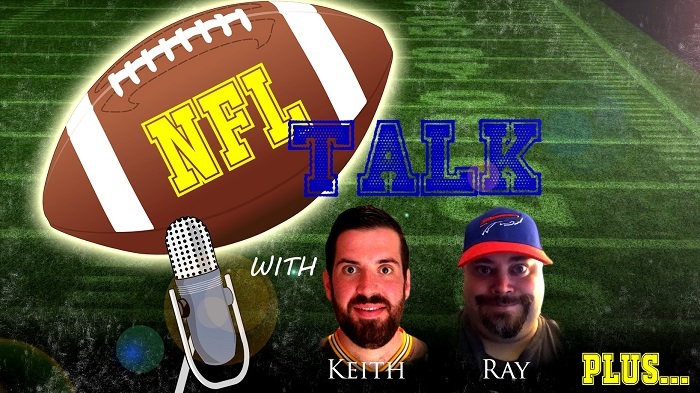 Ehnother Podcast Proudly Presents: NFL Talk Plus Episode 58! This entry was posted in NFL Talk Plus and tagged A.J. McCarron, Adrian Clayborn, Adrian Peterson, Albert Wilson, Allen Robinson, Andrew Norwell, Anthony Hitchens, Aquib Talib, Arizona Cardinals, Austin Seferian-Jenkins, Baltimore Ravens, Bashaud Breeland, Buffalo Bills, C.J. Fiedorowicz, Cameron Brate, Carlos Hyde, Carolina Panthers, Case Keenum, Casey Howard, Chad Henne, Chase Daniel, Chicago Bears, Cincinnati Bengals, Cleveland Browns, Cordarrelle Patterson, Cordy Glenn, Dallas Cowboys, Damarious Randall, Daniel Kilgore, Danny Amendola, Danny Shelton, Danny Woodhead, Daryl Worley, DeMarco Murray, Demario Davis, Denver Broncos, DeShone Kizer, Detroit Lions, Dion Lewis, Dominique Rodgers-Cromartie, Dontari Poe, Doug Martin, Drew Brees, Elvis Dumervil, Eric Ebron, Football, Green Bay Packers, Haloti Ngata, Indianapolis Colts, Jacksonville Jaguars, Jamize Olawale, Jarvis Landry, Jason McCourty, Jeremy Maclin, Jerick McKinnon, Jimmy Graham, Joe Thomas, Johnathan Hankins, Johnathan Joseph, Jonathan Stewart, Jordy Nelson, Josh McCown, Josh Sitton, Julius Peppers, Julius Thomas, Justin Pugh, Kansas City Chiefs, Keith, Kirk Cousins, Kyle Fuller, Los Angeles Chargers, Los Angeles Rams, Malcolm Butler, Marcedes Lewis, Marquise Goodwin, Marquse Lee, Miami Dolphins, Michael Crabtree, Mike Evans, Mike Pouncey, Minnesota Vikings, Morris Claiborne, Muhammad Wilkerson, Nate Solder, Ndamukong Sug, New England Patriots, New Orleans Saints, New York Giants, New York Jets, NFL, NFL Talk, Nigel Bradham, Oakland Raiders, Orlando Scandrick, Patrick Robinson, Paul Posluszny, Paul Richardson, Philadelphia Eagles, Rafael Bush, Ray, Rex Burkhead, Richard Sherman, Ryan Fitzpatrick, Ryan Grant, Ryan Jensen, Sam Bradford, Sam Shields, Sammy Watkins, San Francisco 49ers, Sean Smith, Seattle Seahawks, Sheldon Richardson, sports, Star Lotulelei, statistics, Tamba Hali, Tampa Bay Buccaneers, Tavon Austin, Taylor Gabriel, Teddy Bridgewater, Tennessee Titans, Tom Savage, Torrey Smith, Trevor Siemian, Trumaine Johnson, Tyler Eifert, Tyrann Mathieu, Tyrod Taylor, Vinny Curry, Vontaze Burfict, Warlock Hour, Washington Redskins, Weston Richburg, Zach Brown, Zach Strief, Zay Jones. Bookmark the permalink.